I grew up going on vacation to the panhandle of Florida. You name the beach, and I've probably been there: Pensacola Beach, Navarre Beach, Destin, Fort Walton, Panama City Beach, Seaside, etc. Although I grew up going to all of these places, when my husband and I decided to make a trip back just recently, I didn't really know where to go or what to do and it was our "babymoon" so my main concern was where to eat! I asked for recommendations from my trustee Facebook friends, some locals, and a few people that I knew that have second homes in the area. With Spring Break right around the corner and this area being so popular, I thought I'd write a post on some places that we ate and loved! Most of these places are near the Destin area or within 20 minutes of Destin and are definitely worth the drive! My mouth is watering just compiling the list in my head... yum... I love seafood! How about you?! I also love any good food that I don't have to cook and clean up, ha! Boshamps Seafood and Oyster House: Boshamps is in Destin and overlooks the harbor. This was my favorite place we ate during our trip. They gave you the heartiest portion size and it was the most bang for our buck! It wasn't cheap by any means but the cost compared to the food we got was totally worth it. It was extremely crowded when we went and the wait was super long so we decided we'd sit at the bar as that area was first come, first serve. It was an excellent choice because we got an outside seat and there were just two of us so we didn't feel crammed even when our food arrived. We also went later in the evening but I'd suggest getting there around sunset as I'm sure it would be beautiful over he harbor. Andrew ordered the local catch of the day over creamy cheese grits and boy, was it good! I got the lobster mac n' cheese and it was the best lobster mac n' cheese I've ever had. There was a piece of lobster in every single bite and I even got a lobster claw. The food was fresh and delicious. I'd go back again and again. Donut Hole Bakery Cafe: There are actually two Donut Hole's in the area so you can choose which one is closest to where you are staying! They are opened 24 hours and the menus are all the same from what I understand. We ate at the Donut Hold in Destin. We got there just before it got crowded so we didn't have to wait long but by the time we left there were people sitting outside waiting to eat. We actually went for breakfast so I'm sure the crowds are different depending on the time of day. Their coffee here was excellent! I even dipped my donuts in my coffee which made both taste better in my opinion. They are more than a donut shop though, they have full menu of breakfast items, salads, sandwiches, and burgers as well as a daily specials menu. The best part is, breakfast is served all day! We ended up leaving this place with a huge piece of Oreo cheesecake which we snacked on the rest of the week in our condo. Bud and Alley's: This is a waterfront restaurant in the 30A area, a little bit of a drive from Destin but not too far and definitely worth it! No matter where you sit in this restaurant you'll have a fantastic view of the crystal clear blue water and white sand beaches. I think my favorite thing was that we sat on the rooftop area. They have breakfast, lunch, dinner and also do special events. We went during lunch and the vibe here is totally laid back, the food is great, and the drinks are cold. I had a virgin Miami Vice... yum! The Red Bar: This was the place that I received the most recommendations to try out! I was very eager to see what all of the fuss was about. The food was wonderful but there aren't a ton of options, there are about five items written on a chalk board nightly of what you can choose to eat. This place is more about the ambiance than the food. It's in Grayton Beach and is a total hot spot for great food and live music! I dropped Andrew off at the front so he could get our name on the list thinking I'd just whip around and find a parking place. I ended up driving around and around in circles for about 20 minutes until I was able to find somewhere to park; after that, we waited another 30 minutes to get seated. We didn't even go during busy season so I can't imagine how this places fills up in the summer or during spring break! The band that night was great and the place is truly all red inside, hence the name. This is one of those places you've got to experience at least once! What a fun recommendation, I'm glad we went. You didn't think I was going to list all of these places to eat without included something sweet did you?! As I said, we were on our "babymoon" and I had been craving/really wanting ice cream. Craving sounds better and makes me feel better! I started asking around and found Hershey's Ice Cream. The place had excellent reviews and when we walked in the owner actually greeted us. We visited here more than once on our trip and I had the best ice cream flavor I've ever eaten called bourbon caramel. It was to die for! If you're in the mood for something sweet after all of these delicious meals you absolutely need to make a stop at Hershey's! 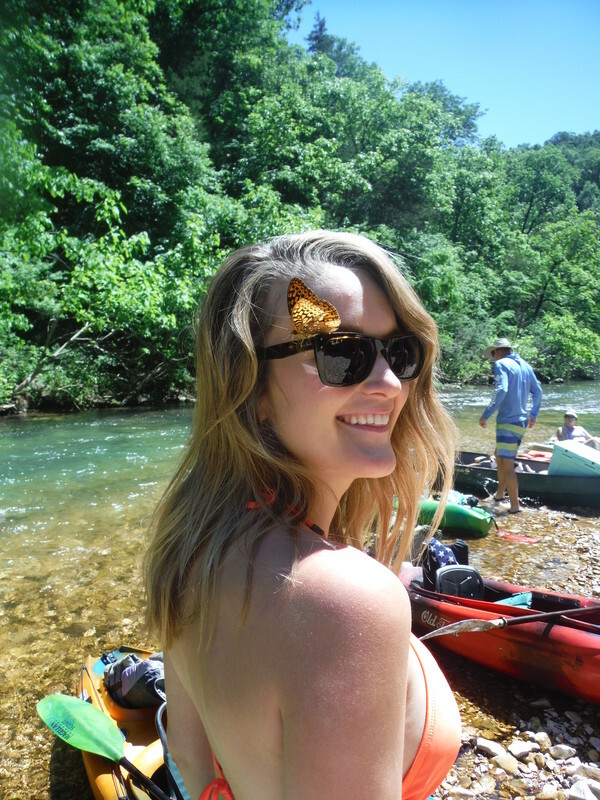 ​Have you been to any of the places I mentioned? We'll be going back to this are more and more now that we've moved further south and we always love to try out new places so please drop a comment as to where we should eat next time! My first trip to Northern California, Bay Area, was in 2010, for a work trip. While there, the group I was with ventured to San Francisco for a night. I have to admit that I wasn't a fan of the city and I think it's because we went late one night, struggled to find parking so I had to walk the hills in heels, I found marijuana in the restaurant bathroom, and we went to eat sushi which, at the time I wasn't a fan. Let me be clear, that now, sushi is a favorite food of mine! I digress... but because I didn't have an excellent first experience in San Francisco I'm now a believer that every city should get a second chance except maybe New York City, been there, done that (sorry, Mamaw I know it's your favorite city). In the past five years I've discovered that I love Northern California! Therefore, I've compiled a list of my favorite "Nor Cal" towns, in no particular order and I'll tell you why I love each of them. Sausalito: This community is the closest to the city, only about five miles outside of San Francisco. This little town has the best views of the city! It has largely protected spaces because of the Golden Gate National Recreation area. I loved driving through the neighborhoods and looking at all of the cool houses on the hillside. The city's central street, Bridgeway, runs right along the shoreline. Sausalito started out as a shipping and fishing hub but has now become very artistic and a picturesque residential community. I loved exploring the shops on the main street, drinking coffee overlooking the water, and getting to admire the city from a distance in a slower paced area. Wine Country: I grouped Napa, Yountville, and Sonoma into one bullet point mainly because I couldn't pick just one town to highlight! I love them all for different reasons but the the main reason is the wine! Duh! After you get past the wine, each town offers a little something different. The town of Napa is a bit more commercialized and the least expensive of the three places to stay. There are more chain hotels int he city which means better rates and more shuttle options. I love the night life of the downtown Napa area. Yountville is a bit more "boujie." The hotels are very much boutique style and the town has multiple Michelin Star Restaurants. Yountville is extremely small so if you stay downtown then you'll be able to stroll to restaurants, art galleries, and wine tastings. I would say Sonoma falls right in the middle of the Napa and Yountville feel. It's less populated than Napa but not quite as upscale as Yountville. It's a historic city and known for its art galleries and the colonial-era Sonoma Plaza. Sonoma also has great options for a spa day if you get tired of wine tasting. You can't go wrong with any of these three small towns in wine country. If you decide to visit, maybe you could spend time in all three places during one trip but I'd recommend going back multiple times for the different experiences. Stinson Beach: I've already done an entire post on Stinson Beach and why I love it. You can find that post here so I won't spend much time on this town. I believe it's one of Northern California's best kept secrets, it's located about 20 miles NW of San Francisco. You can hike in the Mt Tamalpais State Park, enjoy time by the water, or visit one of their cute, quaint cafes. 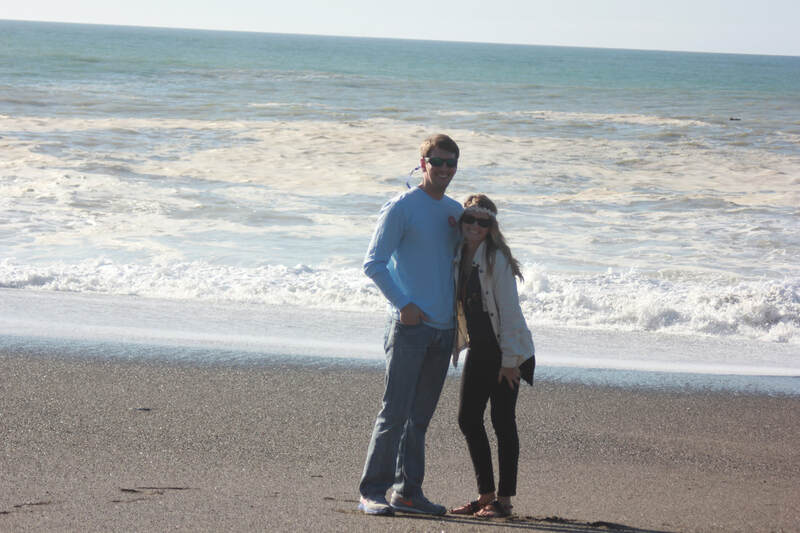 Bodega Bay: I've never actually stayed in Bodega Bay but I plan to someday! I have done two day trips here though and love this little town. Bodega Bay has the best views around off of Highway One. If you're ever in the area I'd recommend stopping at the Pelican Plaza Grocery & Deli to pick up items for a picnic. They make the best cold deli sandwiches, you can also grab a side (try the olive salad, if you like that), and a drink while there. After you've got your picnic ready to go you should venture down to the beach and enjoy! Petaluma: Petaluma is another town that I've only day tripped to but I've been here twice and loved the atmosphere each time. The historic downtown area is one of a kind, you won't find the shops that are located here anywhere else! 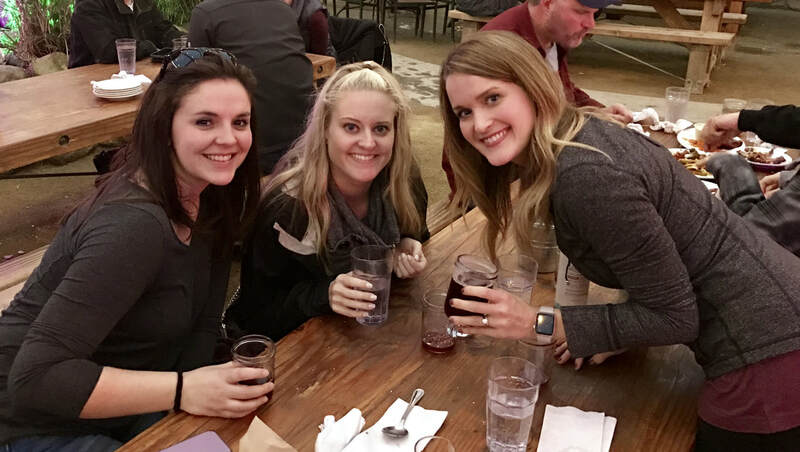 My personal favorite thing to do in Petaluma and the main reason for my visit each time is the Lagunitas Brewing Company. The brewery has an amazing outdoor space that can be covered when it's raining and heated when it's cold or on beautiful days you can enjoy the space just the same. They have excellent brew tours every day, great food on its menu, and you can even bring your dog! This is such a cool tap room and one of the main attractions for Petaluma. With so many cool and quaint Northern California towns to choose from, I obviously haven't been to them all! I can't wait to get back out there and explore! Do you have a fave?! I'm sure many of you at least know what Alcatraz Island is and where it is located. However, just in case you don't, it was a 1800s military fort located about 1.25 miles from San Francisco Bay where it served as a military prison. The most notorious role that it held was a federal prison, and the latest role was for the Native American occupation. For me, Alcatraz Island is somewhere I've always wanted to visit. I'm fascinated by real life crime stories, gangster history, and the very idea of this eerie federal prison. Thus, it was on my "must visit" list while in San Francisco earlier this year (2017). 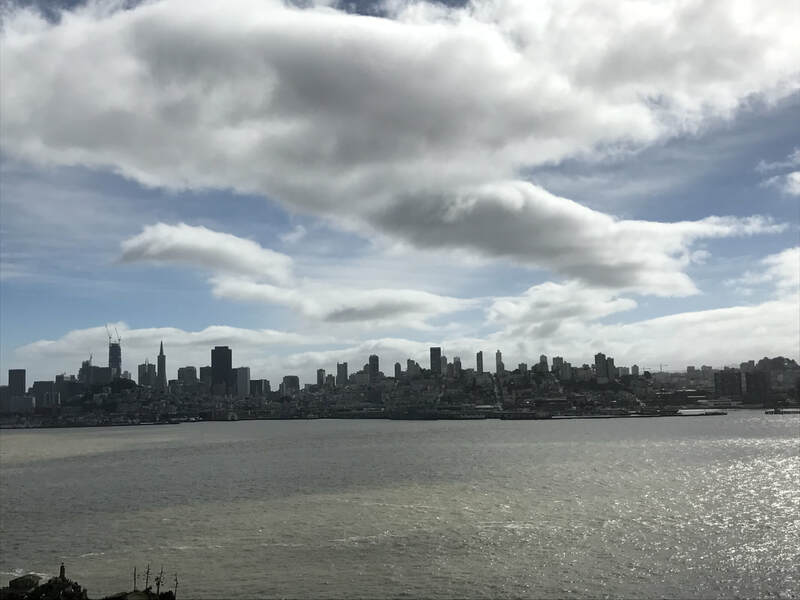 If you're going to visit Alcatraz Island, there are a few things you should know before you go: wear comfortable shoes, buy your tickets in advance, be sure to check the weather, and get to the marina early. 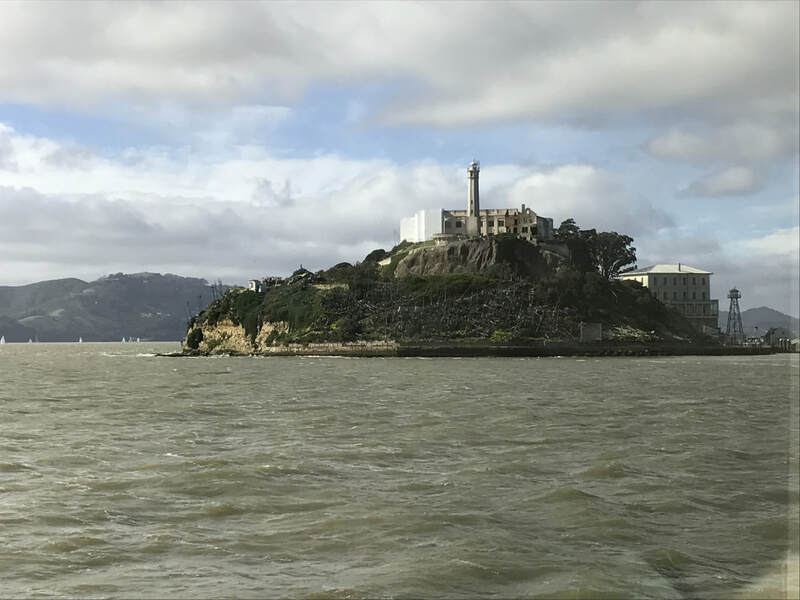 We chose to visit the island with Alcatraz Cruises. This was the most affordable and easiest route I found and it was nice because although you have a certain departure time from San Francisco you can come back on any ferry of your choice. I'd advise you to arrive at the marina at least an hour before your scheduled departure time; this way, you'll have time to park and walk to the marina, use the facilities before getting on the boat, and get a good place in line. We were picky about our seats because we wanted a good view but also wanted to be indoors for the ride over. We visited in early spring so it was a chilly outing. Because the island isn't surrounded by tall buildings, it's usually cooler than the city. My best advice is to be prepared with layers. On the day that I went, everyone in my group took light jackets and they were pleased to have them! I repeat, you'll want to wear a good pair of walking shoes! The island and prison are both a lot bigger than you'd think and the majority of it is uphill. Someone once said, "The coolest winter I ever spent was the summer I spent in San Francisco." This phrase is widely repeated because you really never know what the weather is going to be like there. Most people think Mark Twain said this quote when in fact, he did not. That's another story for another time but if you're interested you should look up the history behind this famous saying. Today, the island is managed by the National Park Service as part of the Golden Gate National Recreation Area. If you visit today you'd get to see the abandoned prison, the oldest operating light house on the west coast, early signs of the military fort, and beautiful scenery. I was taken back by how pretty the view of San Francisco is from the island. If you're interested in more history on Alcatraz there are loads of great books and documents about the island. I've read Escape from Alcatraz and Alcatraz: A Definitive History of the Penitentiary Years. There have also been several Hollywood movies produced about the island. It's obviously most famous for the years as a federal penitentiary and that's what I was most interested in learning about during my time on the island. Given its high security and location of the prison the operators believed Alcatraz to be escape-proof. It housed some of America's most ruthless criminals such as Al Capone, Robert Franklin Stroud ("Birdman"), George "Machine Gun" Kelly, Mickey Cohen, and Alvin "Creepy" Karpis just to name a few. There were a total of 36 prisoners who made 14 known escape attempts. There is one escape though that is the most intricate escapes ever devised. Prisoners Frank Morris, John Anglin, and Clarence Anglin might have pulled off the only successful escape from Alcatraz. I say might because no one knows if they actually made it. They broke out of the main building via an unused utility corridor after making a tunnel from their cells. It's thought that they departed on an inflatable raft which had to have been highly improvised. No one knows if they ever made it to the other side alive. There are numerous theories and leads that have been pursued by the FBI. 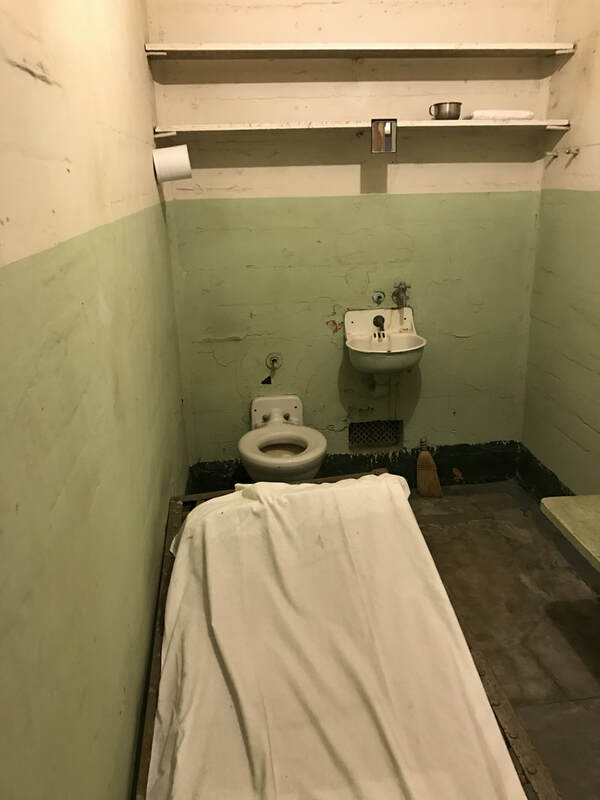 During your visit, you'll get to see the cell they escaped from and the hole they climbed through is truly unbelievable. It looks like a toddler couldn't fit through it. I've added some of my favorite photos from the day. 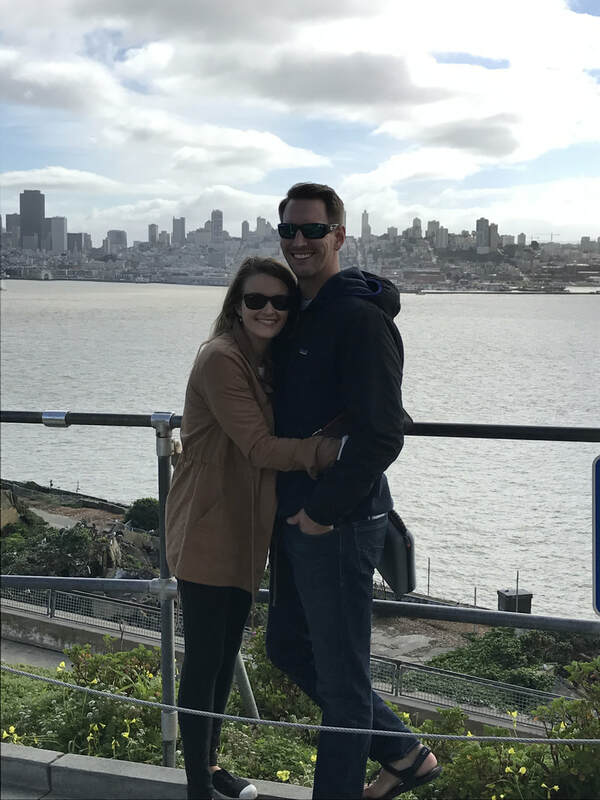 If you ever get a chance to visit Alcatraz Island it is definitely worth your time! This is a tour that's good for all ages. Tell me, have you ever been there? What were some of your favorite or most surprising facts? A view of Alcatraz from the ferry. San Francisco from the island. One of the prison cells. See the vent under the sink? That's the size hole that the three prisoners escaped through. I'm sorry! I'm still here! I’m sorry times a million that I’ve been a bit MIA lately! 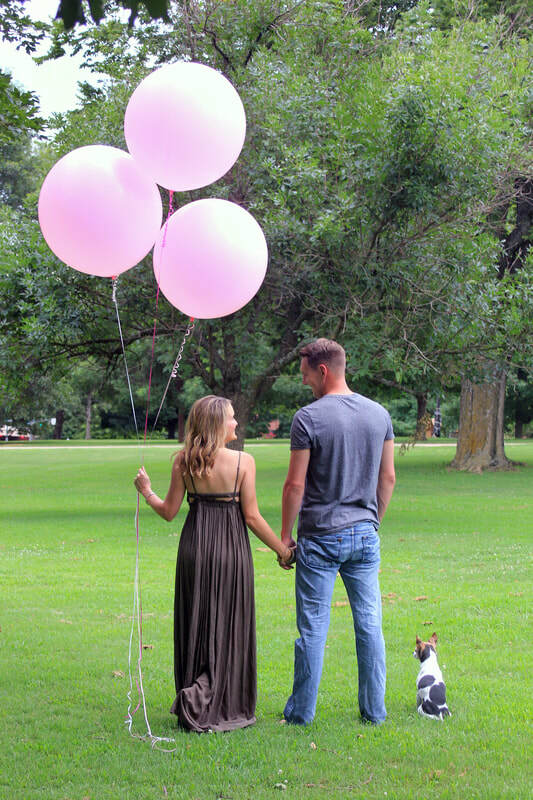 Recently, my husband and I have gone through fertility treatments, moved home to Arkansas, and found out we were pregnant with a baby girl after years of waiting and praying! With all of that being said, I’ll be back soon with new posts on lots of exciting trips! Stay tuned to hear about Alcatraz Island, relaxing in the mountains, and my 6th trip to Hilton Head Island. I can’t wait to engage with all of you again! Stinson, California is a beach town just north of San Francisco. Andrew and I recently stayed there with friends for a weekend get-a-way. We stayed step away from the beach and really enjoyed ourselves. The town itself is very small and only offers a handful of things to do and places to eat but I think we found all of the best it has to offer! Matt Davis Loop Trail: Hiking Muir Woods was on the top of my to-do list for our stay in the Stinson Beach area. Muir Woods is the world's most-visited redwood park. The day we planned on hiking it was raining so instead of driving to The Muir Woods Visitor Center we decided to hike a trail right off of the main highway in town. I didn't realize it until I got home and Googled the trail we hiked (Matt Davis Loop) that we were actually in Mt. Tamalpais State Park which is what surrounds Muir Woods. We saw plenty of redwoods, waterfalls, and lush forest. The loop is about seven miles in its entirety. It wasn't the best day for a hike so we walked far enough to get an excellent view and turned around to go back down. We did about a two mile hike. You can access this trail behind the Stinson Beach fire station. Sand Dollar Cafe: Since 1921, this eatery has been a popular place with locals. The Sand Dollar Cafe is right off of the highway so you can't miss it! We ate there twice: once for a quick appetizer and drinks and the second time we went for dinner. The restaurant is family owned and Stinson beach's oldest establishment. You could tell the staff were a very tight knit group of people and they knew most folks by name as they walked in the door. When we went for appetizer and drinks (around four pm) I asked the bar tender if they had happy hour menu. He looked at me, smiled, and said, "Ma'am when you're the only bar in town, you don't do happy hour." Parkside Cafe: On the side of the highway, closest to the ocean, is a string of small businesses that assemble The Parkside Cafe. The Snack Bar opened in 1949 and is best known for its burgers, smoothies, ice cream, and fries. I bet this place is hopping in the summer with beach goers! The Parkside Cafe Restaurant serves food all day long with a full menu. They have a quaint outdoor area with a fireplace, patio, and garden. We weren't able to enjoy this space as it was cold and rainy but let me tell you what we did enjoy: food and drinks! The food was amazing and overall, a very healthy menu. Because we did eat well and were happy, we found their motto of "eat well, be happy" to be very appropriate and right on target. We all ordered a morning coffee and enjoyed that very much until we saw the table next to us get orange juice. This wasn't your average looking orange juice, you could tell that it was fresh squeezed! Therefore, we all ordered and enjoyed the orange juice, some of us enjoyed it in a champagne glass (mimosa style), others enjoyed it with vodka, and my pregnant friend enjoyed the OJ just how it was! Parkside Cafe is an integral part of the community and available at all times to satisfy your hunger ad don't forget to order OJ. I could have lived off of their coffee and mimosas! 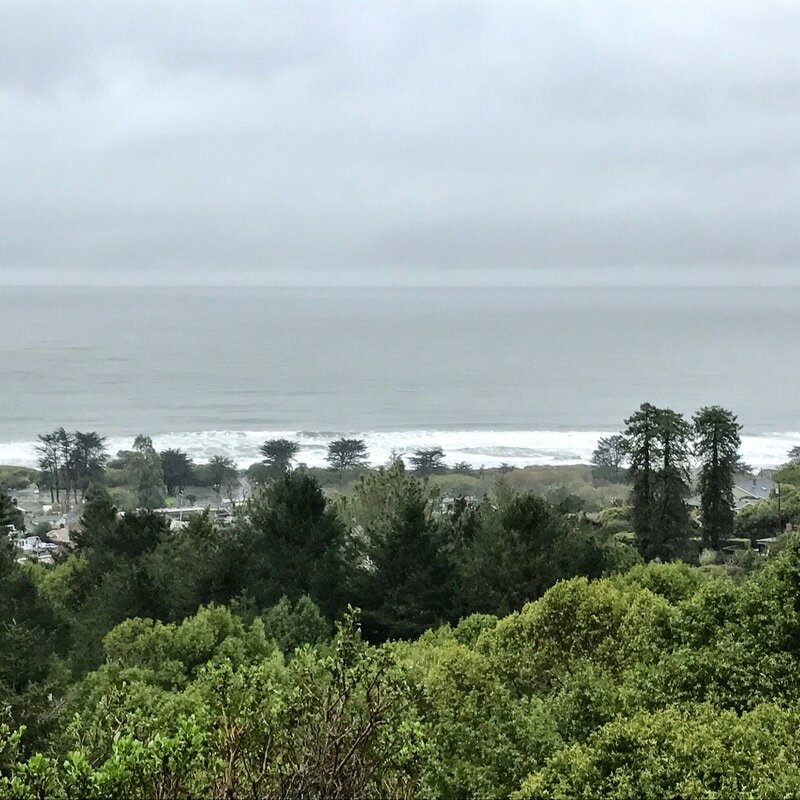 Whether you visit Stinson for a day at the beach, go with a group of friends for a weekend stay, or go to explore, you are guaranteed a good time. The people in this quiet beach town were friendly, everyone smiled, and local businesses are thriving. The Point Reyes Lighthouse... kind of. It would be fun they said. It would be pretty they said. Our trip to the Point Reyes lighthouse was neither of those things but looking back on it now it's quite hilarious. Recently, while visiting the Bay area with good friends, the group stayed in Stinson Beach which is about an hour from Point Reyes National Seashore which I had to see. I wanted to visit the lighthouse because I've heard it is absolutely beautiful, it has a lot of history, and as luck would have it, our visit was during the peak whale watching season! I talked everyone into going to the lighthouse for an afternoon. We loaded up in our rental van and were on the way! If you've been watching the news at all or keeping up with the weather you know that California has had record breaking rainfall. It was drizzling rain the day we decided to go to the lighthouse... in fact, it rained basically our entire trip. It was also over cast so we knew we wouldn't have the best views of the lighthouse but the weather wasn't going to hold us back. The drive from Stinson Beach to Point Reyes is amazing! You go through several small beach towns, get to see lots of pretty farmland, and you get occasional glimpses of the Pacific Ocean. Driving for about an hour, we knew we were getting close to the lighthouse based on our trusty GPS. Again, it was drizzling outside but nothing we couldn't handle until we got about two miles from our destination. At that point, the rain started coming down harder and the fog set in like nothing I've ever seen. I was driving the van and visibility was terrible. We had already come so far so we figured why not, let's keep going! When we pulled up to the parking lot we noticed people walking sideways... yes, sideways!!! We had been in the car and been driving inland so we didn't realize that the wind had picked up. We parked and we all decided we were going to see that lighthouse regardless but first we needed a bathroom break. They had a small shack with porta potties for use. My friend Abby went in first and said it was bad and to hold your breath! I went in second and held my breath the entire time and of course hovered over the seat (TMI?). My friend Sarah, who was three months pregnant at the time, went in last. She walked in and immediately started gagging as pregnancy makes you more sensitive to smells (so I've been told). Ragan: You're fine, just go! Sarah: Gag, I can't do it! Que Sarah running out of the stall with her pants barely pulled up. Ragan: uh, are you going to be okay? Sarah then proceeded to death glare me and get teary eyed all at the same time. I was in shock I mean who knew?! After that fiasco, we had to hide Sarah behind the porta potty so she could go tinkle outside because you know, when a pregnant women has to pee, they have to pee! Now here we are, ready to go to the lighthouse. Andrew only had on freshly cleaned tennis shoes and he said he didn't want to get them dirty so he'd just go barefoot. I mean, why?! I think everyone around us thought he was crazy, I know we all did! Here we are just six friends on a half mile hike to a lighthouse, one of us a sick pregnant lady, and one of us not wearing shoes. The "drizzle" had turned into rain, the wind was blowing 55 mph, and the fog was dense! 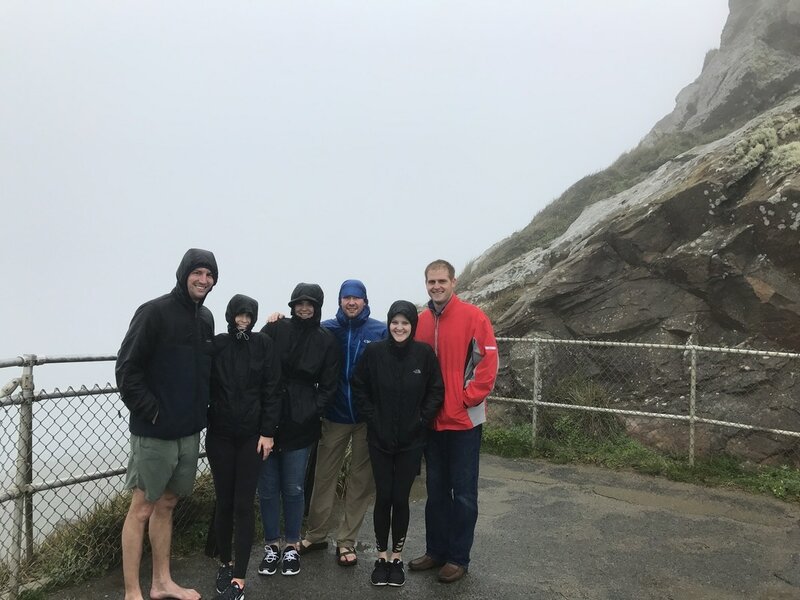 We walked up to the stairs to the light house but we couldn't see the actual lighthouse, that's how foggy it was and the winds were blowing so hard it wasn't safe for people to walk down the stairs to the lighthouse. For sure, we weren't seeing any whales! Basically, we drove over an hour, almost got blown off the side of a cliff, and never saw the lighthouse just to have this hilarious story. Have you ever been to Point Reyes?! If so, send me a photo, I'd love to hear how beautiful it is! 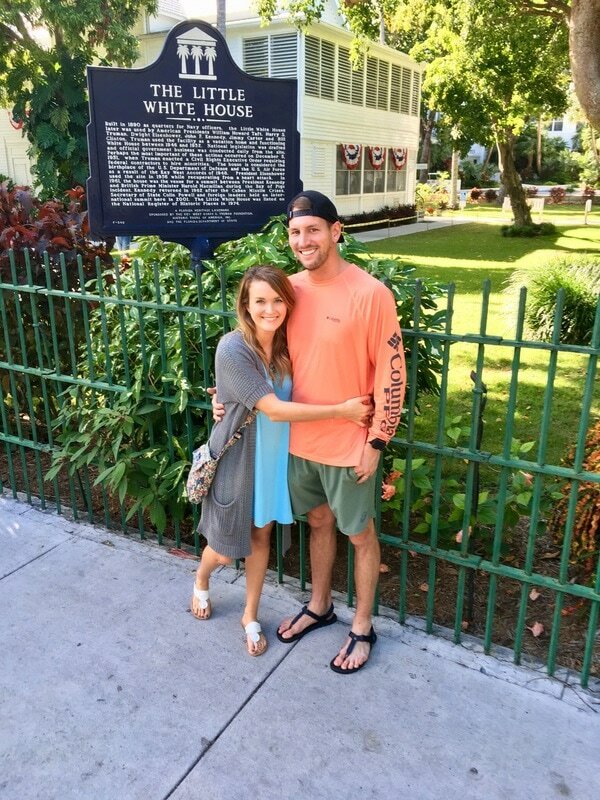 If you're visiting Key West, you've got to visit these four places (in no particular order): the Harry S. Truman Little White House, the southernmost point, Fort Zachary Taylor Historic Park, and the Ernest Hemingway Home and Museum. The Little White House: The house itself sits in a beautiful gated community with other lovely homes. Initially, it served as the naval station's command headquarters during the Spanish-American War. Harry S. Truman was the 33rd president of the United States and during his early years as president he got very sick from the over-whelming stress. His physician ordered him to take a vacation in the sun to rejuvenate and get some Vitamin D. Because the Naval Station's headquarters was in Key West and a safe place to visit, he decided to go there. Truman loved this place so much he joked that maybe we should move the capitol to Key West! The house was a place of relaxation for him but he always worked there as well, the President never gets to truly go on vacation. Although multiple presidents visited before Truman and several visited after him, he ended up visiting ten times after his initial visit so that is why the house is now known as the "Harry S. Truman Little White House." The house is now a museum and it's been restored to its original state. If you visit, I would recommend taking one of the guided tours. The southernmost point: This is one of the most popular tourist destinations on Key West. The southernmost point is a concrete buoy at the corner of Whitehead and South Street. 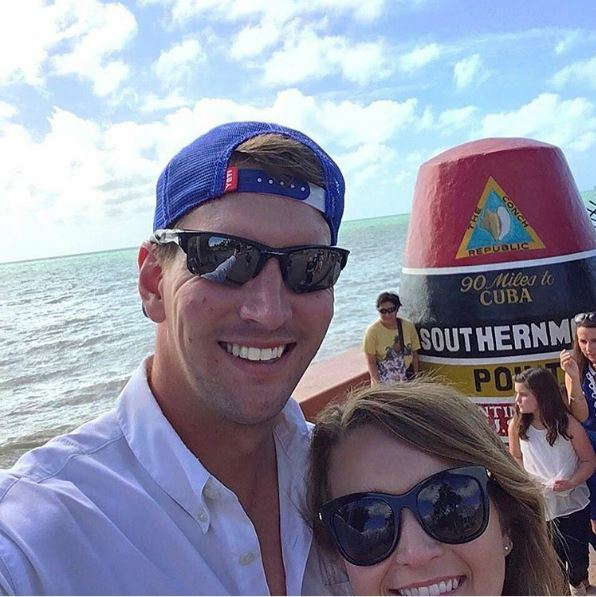 I think it's comical because people line up to get a photo in front of the marker but it's not actually the southernmost point in the United States, just look at a map of Key West and you'll see! Regardless, it is 90 miles to Cuba from this point and I feel like you have to at least see it if you're in Key West. I'm going to give you a tip, don't stand in the line! There is a retaining wall around the marker; Andrew and I jumped up on the wall and snapped a quick selfie (see proof below)! It's not the best quality photo and some people weren't too happy with us but we didn't want to wait in at least an hour line! We ran away quickly but still got to see the marker so we were happy! Fort Zachary: The fort was one of a series built in the mid-1800s to defend the nation's coastline but now it's Key West's favorite beach located at the southern end of the park. 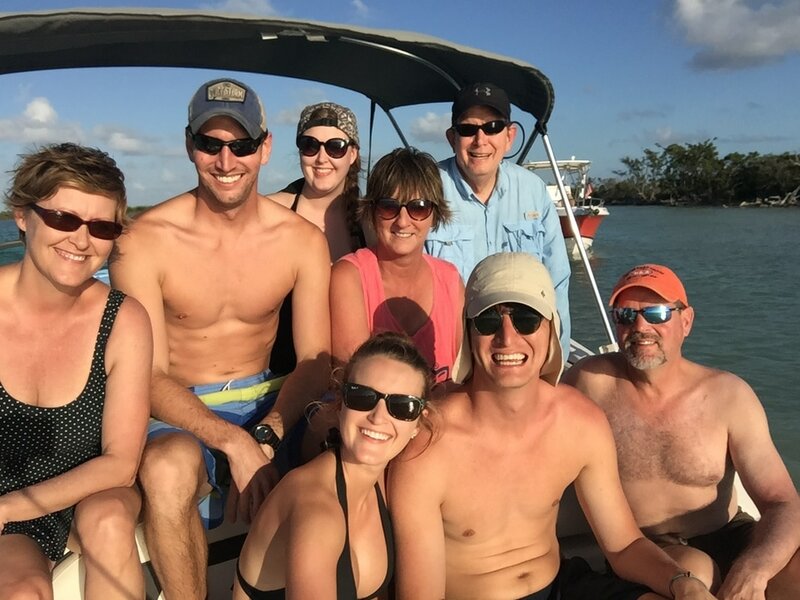 Fort Tours are given daily; however, we went to Fort Zachary for the beach! 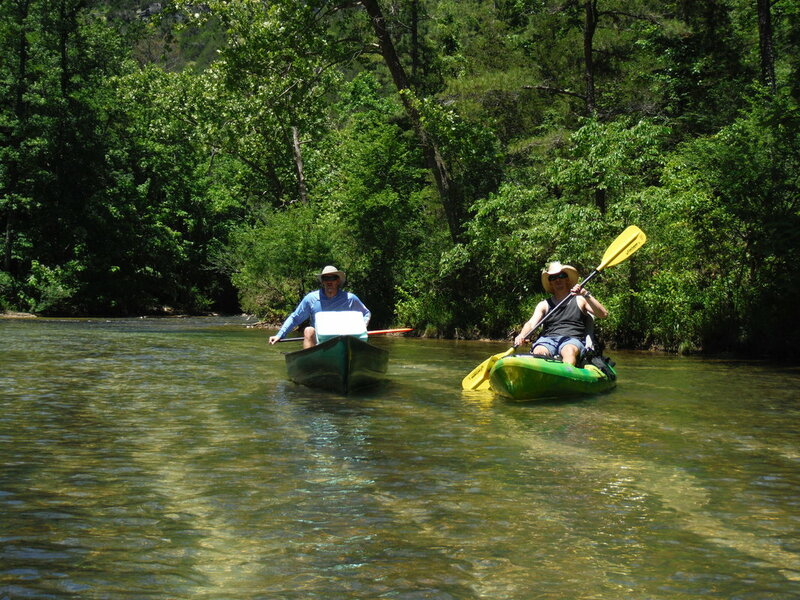 The park provides opportunities for picnicking, swimming, snorkeling, and fishing. I did one out of four of these and Andrew participated in all four. The water was way too cold for me so I chose to just picnic on the beach. Andrew was much braver than me and he actually got in the water! 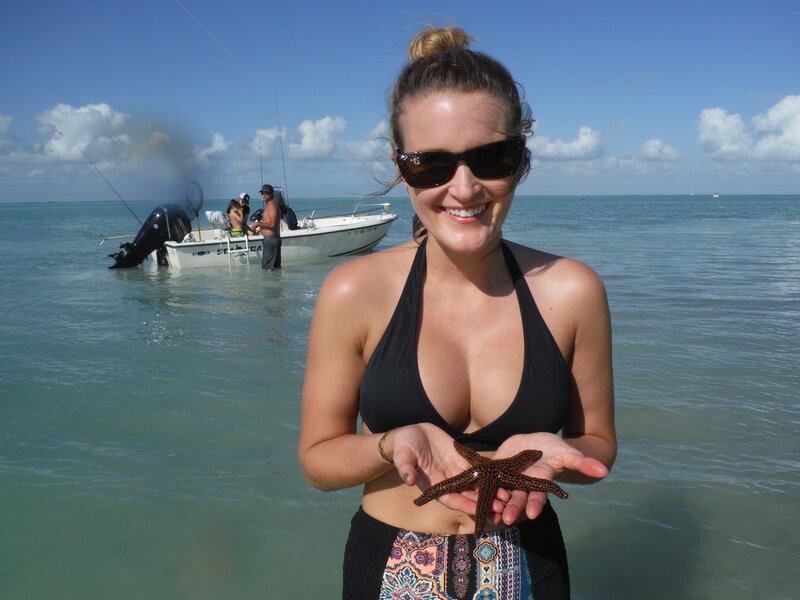 You do have to pay to enter the park but it is totally worth it as Key West doesn't have very many beaches. I know that's surprising since it's an island but it's true! I'm going to let you in on a little secret, there are two beaches in the park. One of the beaches is the most popular beach and it's very crowded and the other is what the locals call "the secret beach." Of course, Andrew found the secret beach and we spent our entire afternoon there. There were only two other couples at our secret beach so it was absolutely amazing! 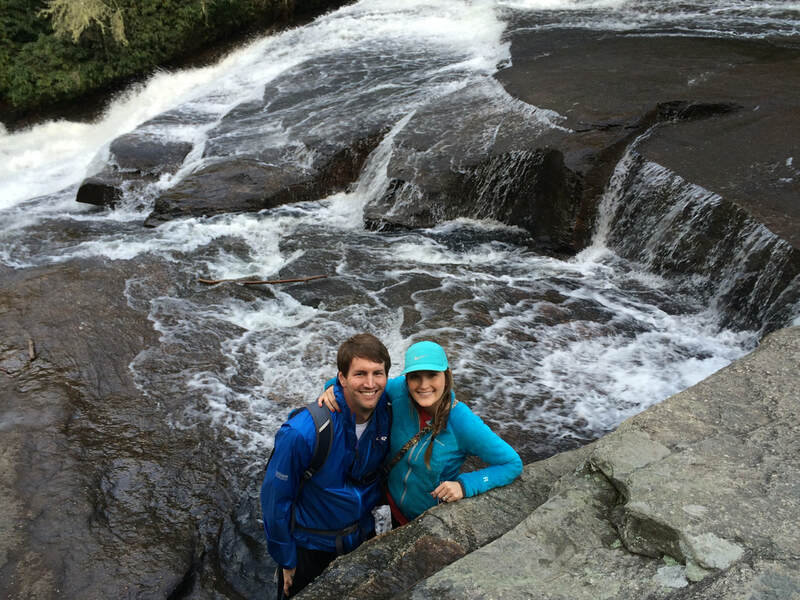 One of the couples were locals and the other had an adventurous side to them like us! It's a bit of a walk to this beach but it's worth it. I'm not going to tell you where it is because then, it wouldn't be a secret anymore but, I bet you could look on a map and find it! Watching the sunset from the "secret beach"
Ernest Hemingway Home and Museum: We visited this house on Christmas which was a really neat way to spend the day! The home is absolutely beautiful. There are so many architectural details that went into building this place. The gardens are stunning and there are cats that roam the property and the house freely. The home was originally built in 1851 and became Ernest Hemingway's home in 1931. All of the cats around the house are descendants of the cats he kept while he lived there, including many extra-toed cats. Hemingway purchased this property for $8,000 which seems absolutely crazy to me! The house now operates as a museum and it remains the single largest residential property on the island of Key West. The house is open to tour year round and costs $14 per adult. I'd recommend taking one of the free guided tours as you learn many personal Hemingway stories and so many interesting facts about the house. 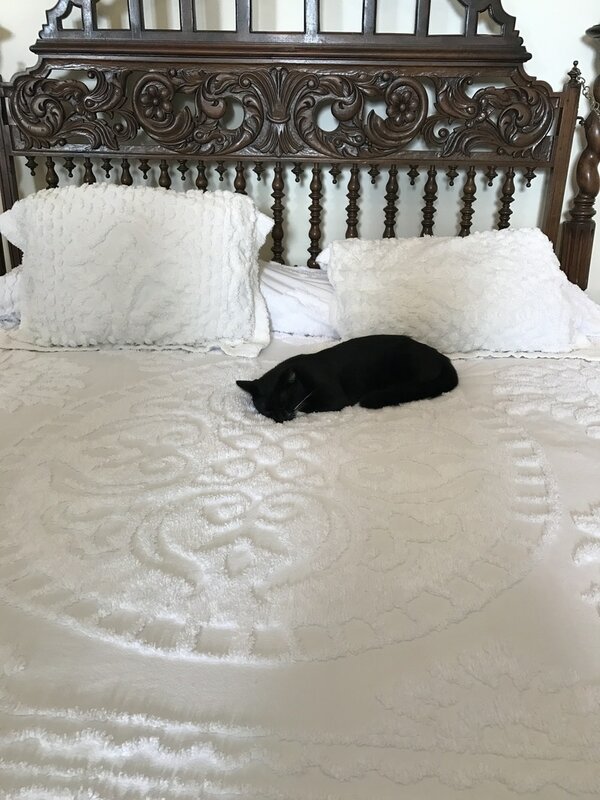 When we visited it was so crowded I wasn't able to get a good photo of the actual house so, here's a picture of a cat in Hemingway's master bedroom. 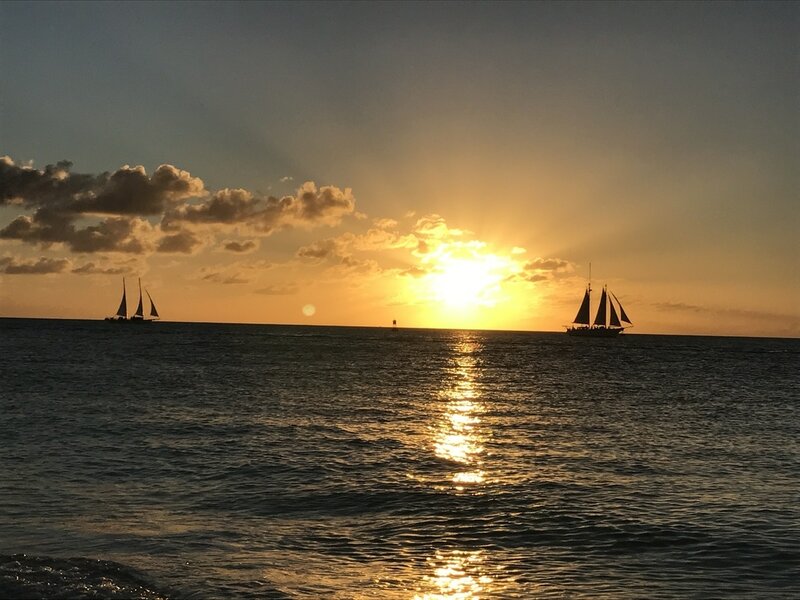 If you ever visit Key West I think these are four must visit places. Comment below or shoot me an email if you have any questions or want to know more information about one of the places listed! 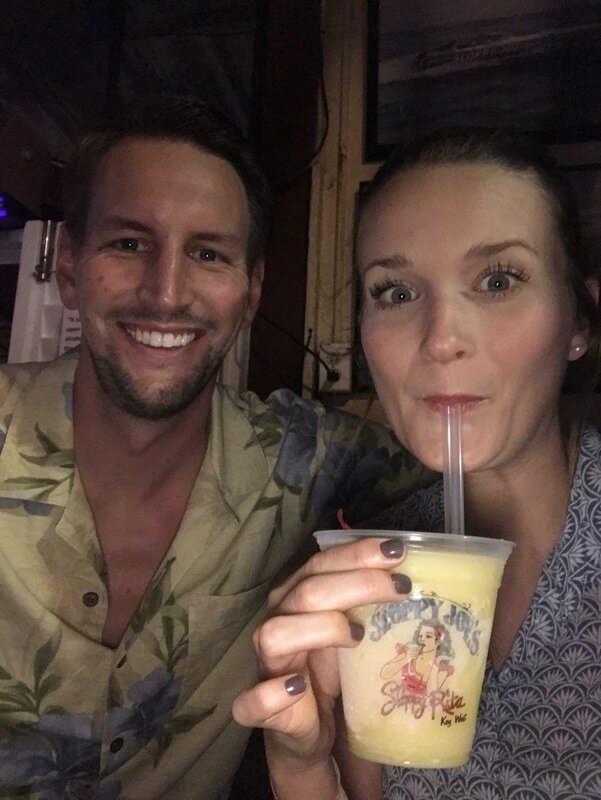 While in Key West, Andrew and I tried to eat and drink at some of its most famous places; always the food adventurers, we also wanted to try some local "hole in the wall" restaurants as well. We made the drive from Miami to Key West and had to stop at The Hungry Tarpon on Islamorada Key to eat dinner our first night. 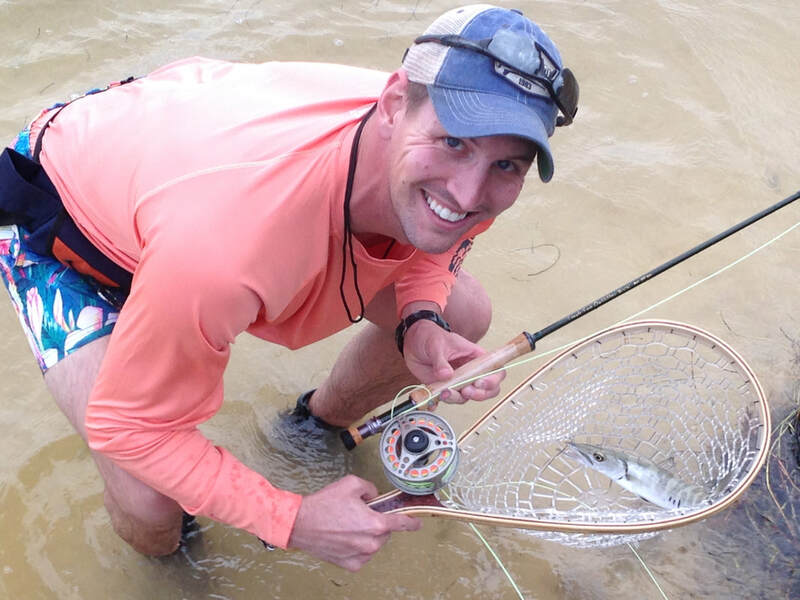 You can't miss the Hungry Tarpon as it's in Robbie's Marina and there is a huge sign. The restaurant is directly on the water and offers beautiful views, great food, and a tropical atmosphere. The food was delicious and the atmosphere was so much fun! When you eat here, you're truly getting a taste of the Keys lifestyle. 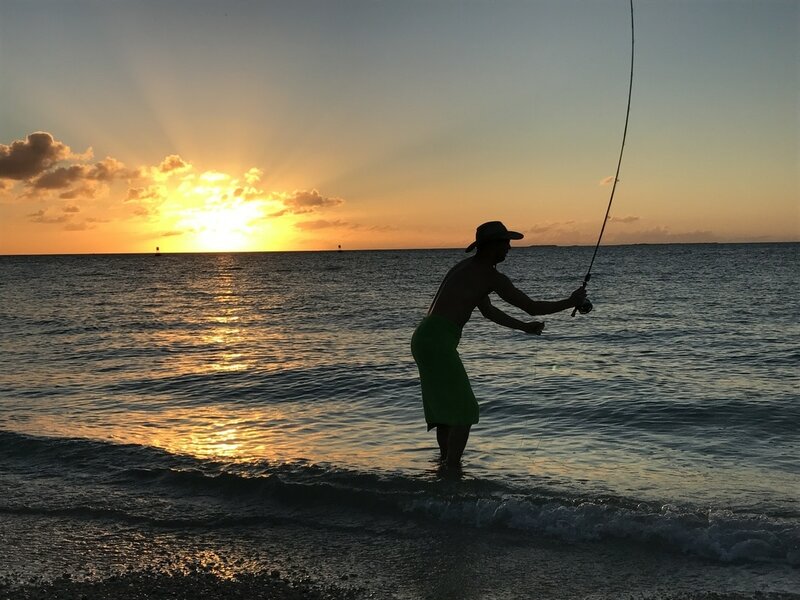 You can eat breakfast, lunch, and dinner at the Hungry Tarpon while you watch the boats come in with their fresh catch of the day! We were here in the evening and got to see the sharks and tarpons being fed the leftovers from the days fishing trip. Another reason the Robbie's Marina area is famous is because some of the Netflix original Bloodline was filmed here. This is where the characters of the show spend a lot of time in boats and on docks. 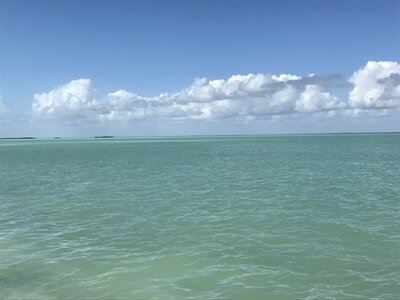 We're huge Bloodline fans and sought out as many filming places as possible in the keys (more on that in another post). Our first night in Key West we felt compelled to go check out the world famous Sloppy Joe's Bar. The official beginning of this bar was on December 5, 1993- the day Prohibition was repealed. Sloppy Joe's Bar has been through two name changes and one change of location but it has been at its present location since May of 1937. This Bar sits on the corner of Greene and Duval Street. 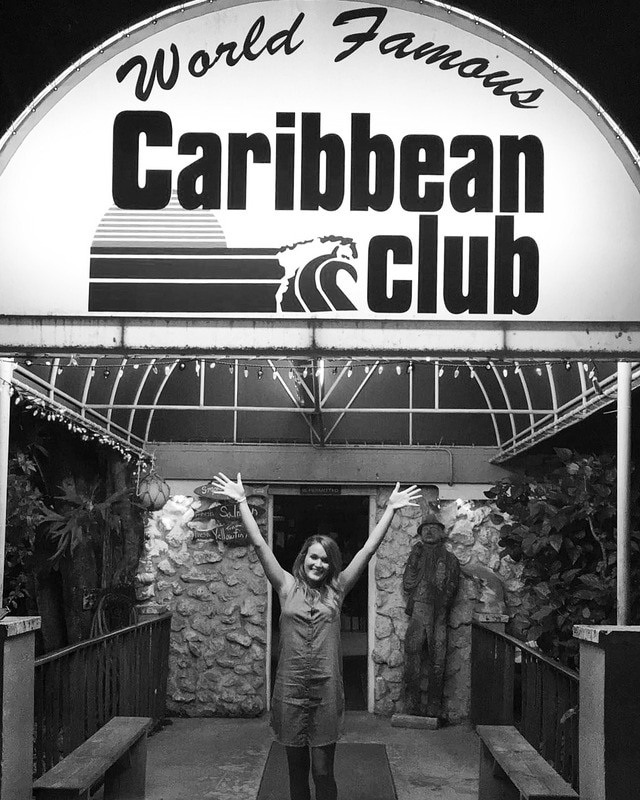 This place is a staple in Key West and was once the watering hole of Ernest Hemmingway. Sloppy Joe's now also offers a food menu. Andrew and I enjoyed listening to a live band, having a cocktail, and eating a sloppy joe! If you're ever in Key West, even for just a day this is a piece of history you don't want to miss! After Sloppy Joe's, we ventured over to Willie T's. 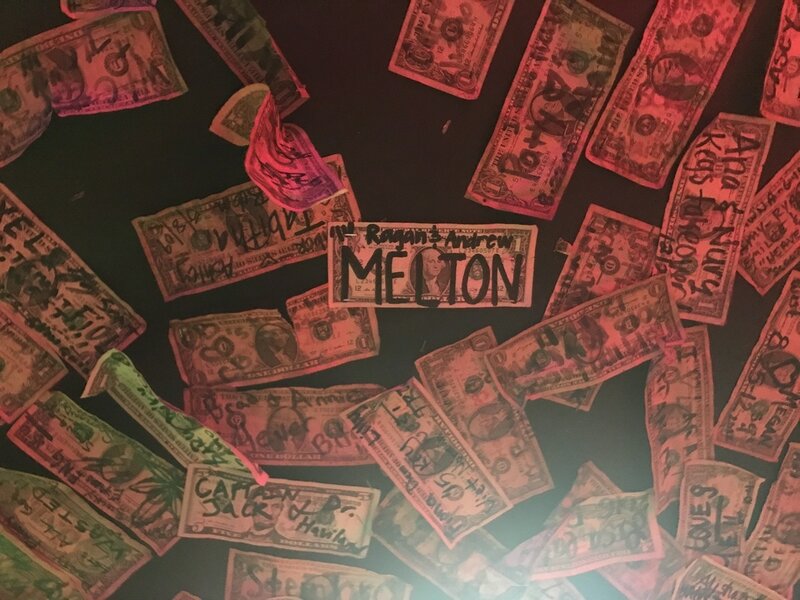 We were immediately drawn in by all of the one dollar bills hanging up all over the place. There are thousands of them and we had to leave our mark as well! Willie T's had live music and its open air so it is a really fun place to stop. During our second day in Key West we wanted to have a picnic on the beach so we went to a place called Blue Heaven Restaurant to pick up food to go. A local actually recommended it to us and the food was amazing! I had a huge grilled cheese with bacon and Andrew had a chicken salad sandwich. They even boxed the sandwiches up for us so we'd be able to carry them easily out to the beach. That evening we went and ate at Sara Beth's, which provides both indoor and outdoor dining and its building is a historic 1800s clapboard landmark building. The food here was delicious! We tried the velvety cream of tomato soup, the crispy calamari, and the shrimp and grits! The service was some of the best I'd ever experienced, even the host was top notch! Make a reservation if you'd like to eat here and I've heard brunch is awesome, I wish we would have had time to go back. Our last night in Key West happened to fall on Christmas Eve. We didn't want to do the traditional Christmas food so we decided to do a traditional Key West spot called Schooner Wharf. This place has been voted Best Local's bar six years in a row. They have really unique nautical decor, live music, great food, and it's open-air. Schooner Wharf is located right on the Historic Harbor Walk. We tried conch fritters here for the first time. Conch fritters are to the Keys what hush-puppies are to the south. You can find fritters on the menu just about any place you go so we decided to give them a try and oh my, they were great! They even came with a Key Lime mustard sauce, it sounds weird but it tasted amazing! For our entree we shared the seared sesame tuna and oh my goodness was it fresh and so good! The entree came with seaweed salad which I have never liked any other time I've tried it but this place had the best seaweed salad ever! This was far from our traditional Christmas Eve dinner but you can't beat fresh seafood at an open-air restaurant, with a sand floor, watching yachts float by. 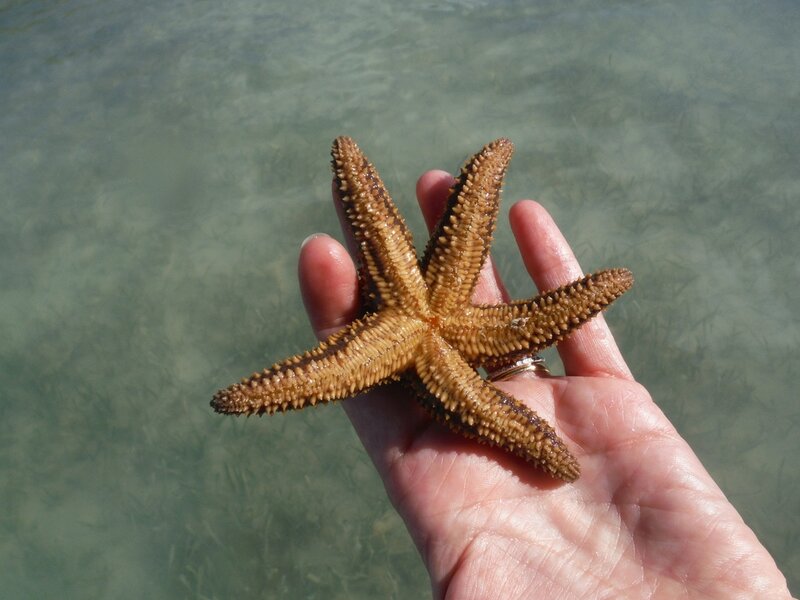 There are lots of good eateries in Key West. My major regret was that I didn't have time to try other places; however, I was really happy with our choices. I'd give all of the places listed five stars! Putting our mark on Willie T's! Enjoying the best banana daiquiri I've ever had at Sloppy Joe's.